“Jubilee Australia claims to be a body undertaking ‘scientific research’. Any scientific research body must adhere to strict ethical standards when planning, carrying out, and reporting on its research. 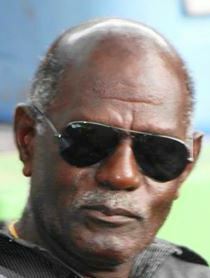 The President of the Autonomous Bougainville Government (ABG) has raised new questions about research about Bougainville undertaken by Australian NGO, Jubilee Australia. Jubilee’s report was released in Australia in September. On the basis of interviews with just 65 people selected because they opposed resuming mining at Panguna, Jubilee claimed that the Panguna mine affected communities as a whole were also opposed to mining. 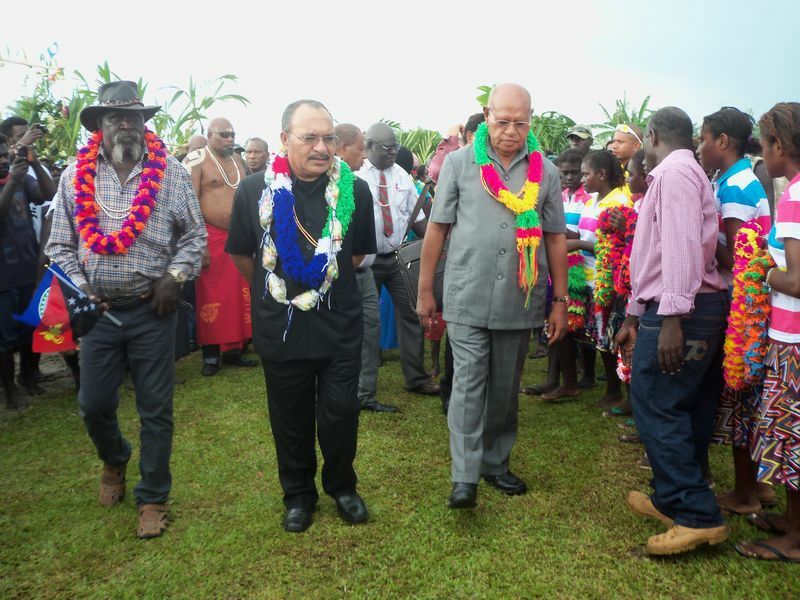 But as President Momis has pointed out, there are between 10,000 and 15,000 people in those communities, a majority supporting resumption of mining. 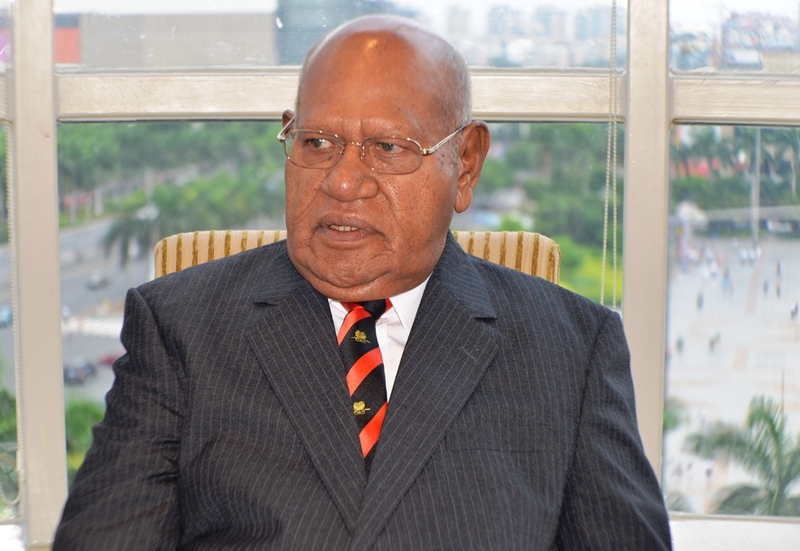 In a series of three letters to Jubilee in September, October and November, President Momis has criticised the report. He questioned research methodology used, false claims made on the basis of interviews with a tiny selected group of opponents of mining, many serious factual errors in the report, and the track record of opposition to BCL and Rio Tinto on the part of Jubilee Australia’s research partners, Kristian Lasslett and the Bismarck Ramu Group. The President was especially critical of Jubilee’s failure to at any time communicate with the ABG or Panguna landowner associations about the research – failing even to seek ABG views on a draft of the report before it was published. He agreed with an Australian academic who criticised Jubilee as involved in advocacy, not research. 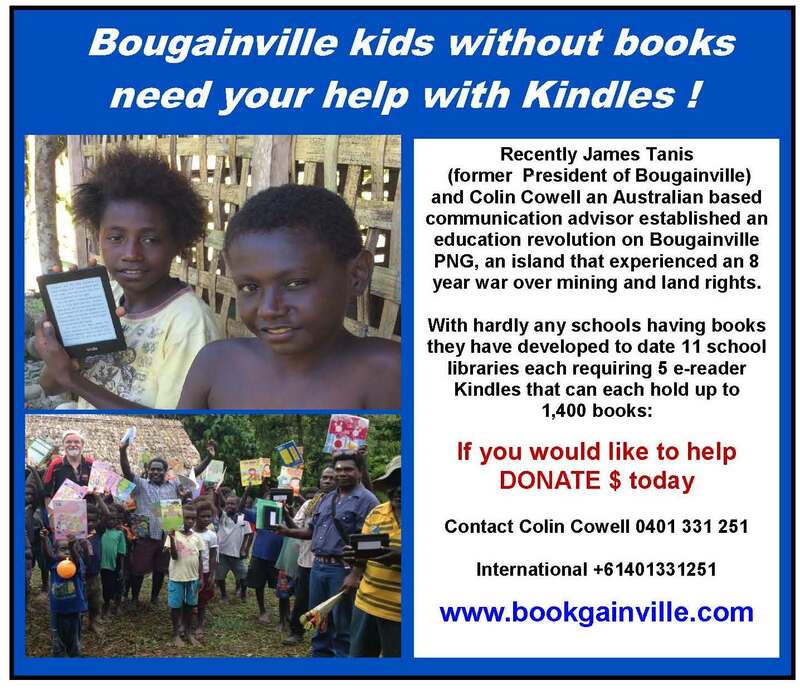 “Jubilee and its partners were researching sensitive issues in Bougainville’s complex post-conflict situation. The research, and Jubilee’s report, involve serious risks, not just for those being interviewed, but for the wider Bougainville community. By taking sides on complex, divisive issues, Jubilee has added to sources of division and conflict. It has undermined the carefully considered efforts of the democratically established ABG to build consensus amongst divided Bougainvilleans on the difficult issues involved in choices on mining. “If Jubilee had been adhering to proper ethical research standards, they would not have intervened in this complex situation, and taken sides. They would not have rejected having any form of communication with the ABG and landowner associations. “Jubilee Australia’s website claims that their research program is overseen by a Research Centre Advisory Committee comprising ‘leading Australian academics’, which they say strengthens Jubilee’s ‘capacity for rigorous, academic based research’. Such a Committee should surely play the most important role of setting and overseeing Jubilee’s research ethics. “But it now emerges that a member of that six member Advisory Committee who had extensive knowledge of PNG was never informed by Jubilee about the research. This fact may help explain Jubilee’s use of badly flawed research methodology. It raises serious questions about how Jubilee ensures that its research adheres to the highest standards of research ethics expected of a ‘scientific research’ body. “I have today written to Jubilee’s Board, asking when they will respond to the issues raised in my two most recent letters to them about their report (dated 26 October and 2 November). But in addition I have raised serious questions about how Jubilee ensures that proper standards of research ethics are met, so that its otherwise well-intentioned work does not descend into advocacy of particular unsubstantiated viewpoints. “I have further asked how Jubilee can be held accountable in terms of their ethical standards. Jubilee is an Australian NGO working on international development issues. Most such NGOs are members of the Australian Council for International Development (ACFID), which administers a complaints process that can handle queries about NGO research ethics. “But from the list of members appearing on the ACFID website, it appears that Jubilee is not a member of ACFID. If so, the ABG cannot seek to hold Jubilee accountable through ACFID. I am questioning Jubilee’s board as to whether it is open to being held accountable by independent bodies. “I have further asked Jubilee to advise whether any non-citizens who have been in PNG at any time to undertake this research have held the research visas required under PNG law. “The ABG welcomes thorough research, and well-informed criticism. But it expects outside research bodies, in particular, to observe the highest standards and principles. In this case, there are grave doubts about many aspects of what Jubilee has done. The President of the Autonomous Region of Bougainville (ABG), the Honourable Chief John Momis, has attacked a recent Jubilee Australia report on Bougainville’s Panguna mine, describing it as misleading and irresponsible. The mine, operated by Bougainville Copper Ltd (53 per cent owned by Rio Tino) at Panguna, in Bougainville, from 1972 to 1989, when it was closed by violent conflict. It has not reopened since. The Report has been released by Jubilee ( www.jubileeaustralia.org/page/resources) and was launched at public functions in Sydney and in Parliament House in Canberra by Christine Milne, Leader of the Greens. The Jubilee Report claims that the voices of mine-affected communities ‘have been distant from recent public discussion’ about the possible reopening of the Panguna, closed since 1989 as a result of the Bougainville conflict. The Report is critical of ABG consultation with landowners which Jubilee suggests have largely excluded communities around the mine. ‘Far from being excluded, affected landowners have been at the centre of all discussions regarding Panguna since they commenced in 2009’, said President Momis. ‘There may indeed be individuals who have not been able to, or have chosen not to, participate in consultations. In part this reflects the ABG’s extremely limited resources, and the real barriers of geography and politics that we face, including an armed dissident road block which has restricted access to the Panguna area for 17 years. ‘But the ABG and representative landowner associations have gone to great lengths to overcome these barriers, undertaking numerous consultations at village and regional levels and with all major Bougainvillean stakeholders. ‘The overwhelming response is support for reopening the mine, but only if it can be done in a way that avoids the extremely negative effects of earlier mining and ensures that Bougainvilleans receive a fair share of mining’s benefits’, said President Momis. Jubilee statements to the press go further, claiming ‘near unanimity among the Pangunans that they do not want mining’. President Momis said: ‘This being an area where mining caused great harm, there are individuals and some communities who oppose mining. But nothing in Jubilee’s Report substantiates this gross overgeneralization and misrepresentation’. 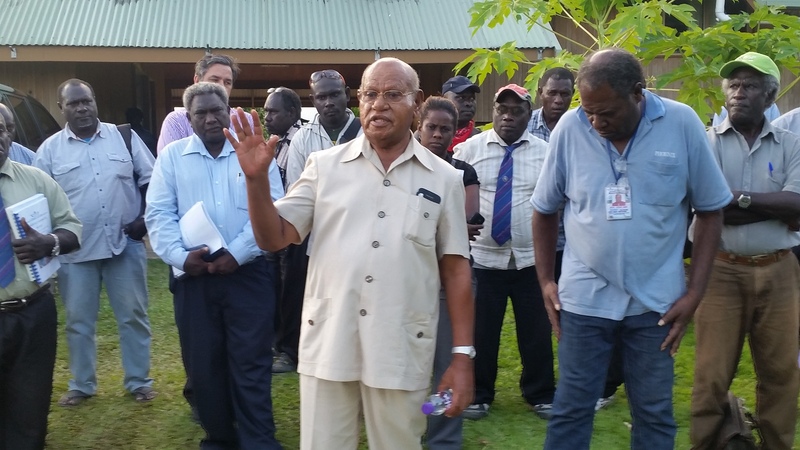 President Momis refuted Jubilee’s allegations that the ABG has ‘initiated a campaign to reopen the Panguna mine’. He said: ‘If the strict conditions sought by the landowners and the ABG cannot be satisfied, the ABG will not allow the mine to be reopened’.